New IFR Trainer – All in 1 update is available (former Pilot Trainer - IFR Pack) - Flygo-Aviation Ltd.
As some of you have already realized, we released a new update to Pilot Trainer – IFR Pack. This app is a selection of essential functions designed especially for IFR pilots and students that has been redesigned and new features has been implemented. Now, this blogpost summarizes for you the main changes in 4 areas. Based on students feedback where we continuously tests our trainer apps, we developed new learning materials that helps better understand instrument flying and holding patterns. Most of these materials are interactive and require students do fulfill some simple tasks in order to better understand instruments. 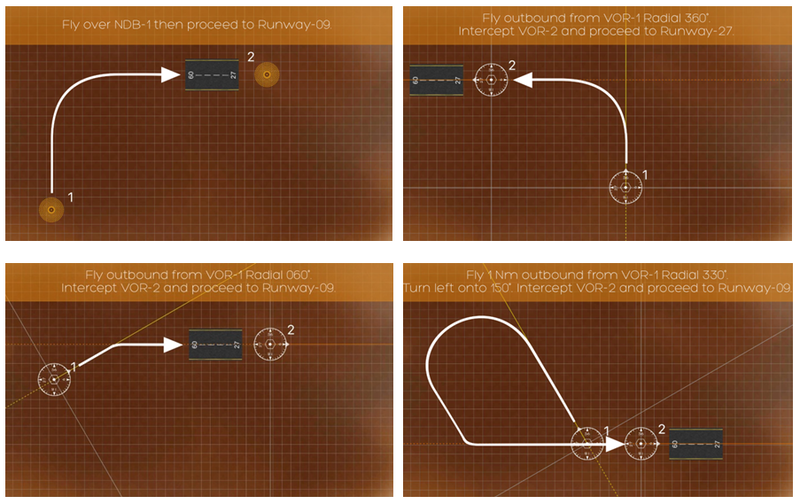 This ’step-by-step’ method makes our app more useful and provides significant feedback to students regarding their understanding of IFR flying. Trace mode: This Function makes the flight route visible that helps to evalute flying accuracy. Hide mode: This function let users to hide or make the aircraft visible during the simulator mode. Hiding aircaft helps you to improve instrument flying skills. Use both function and evaluate your simulation afterwards. Although our app includes a lot of learning materials, explanations and graphs, one of the most powerful feature is the IFR Simulator. We have developed more tasks to practice that allow students to test their knowledge and use all IFR instruments during ’real flight’ simulation. Next time, when flight students ask you which IFR trainer app would you recommend, don’t forget to suggest IFR Trainer – All in 1. Download our updated app from AppStore and try it out with new features!